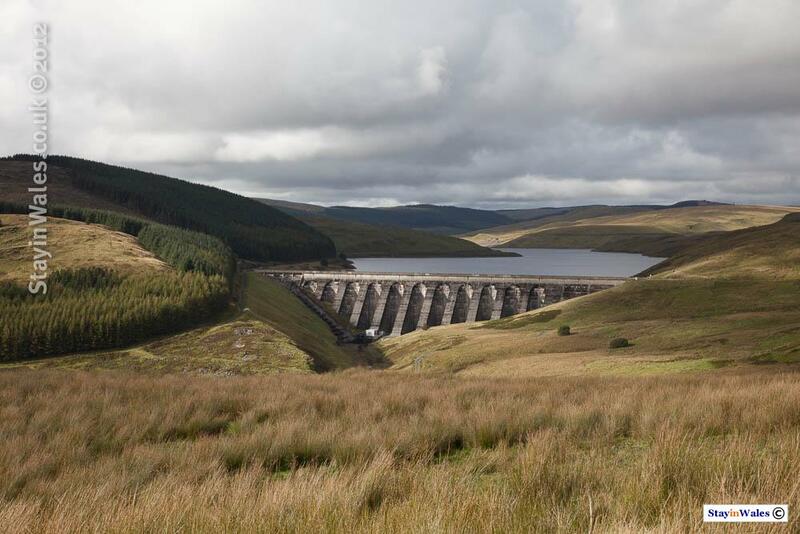 Named after a stream which used to run into the River Rheidol where the dam is now, Nant-y-Moch (which translates in English to 'the Pig's stream') Reservoir flooded around 16,500 acres of the upper Rheidol Valley, and those of some of its tributaries, in 1964. Beneath its waters is a small hamlet called Nant-y-Moch. The reservoir is part of the Rheidol hydroelectric system: water runs about 4km, with a drop of about 350 metres, along a tunnel to the turbine which powers the generator. A more recently mooted power generation scheme (in 2012) proposes an array of wind turbines in the hills around Nant-y-Moch. Personally I feel that wind generation is a necessary evil - we all use electricity, and reducing dependency on fossil fuels probably makes sense. However I will be sad to see these wild views (albeit already heavily impacted by pine woodlands) further impinged upon in the name of progress.